The ability to design and create in 3D will be a part of their future, as will be learning from their mistakes! 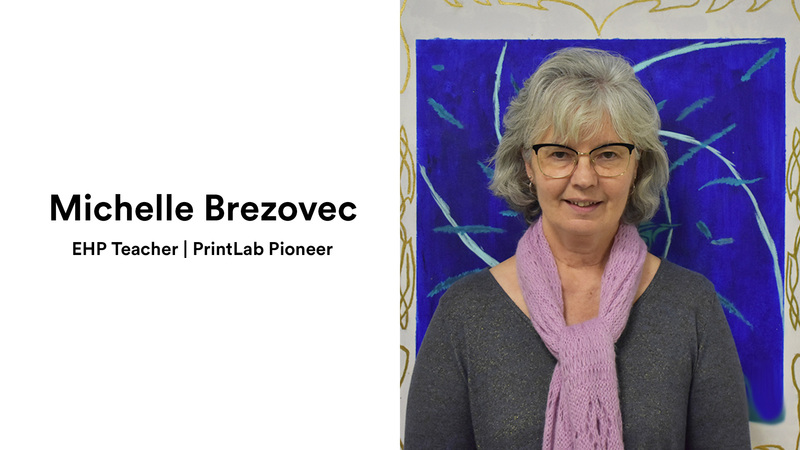 Today we are delighted to introduce you to Michelle Brezovec from South Meadow School in New Hampshire (US), who has been using PrintLab Classroom curriculum as part of their innovative 'Expanding Horizons Program'. We caught up with Michelle to share her 3D printing experiences and opinions with you all. Check out the interview below! Hi Michelle, thanks for taking the time to chat to us today! Can you begin by telling us a little about yourself and how you got involved with 3D printing? For the past 15 years I have been the Expanding Horizons Program (EHP) Teacher at South Meadow School. (Prior to that I was a "regular" classroom teacher in the building for 4 years). The program offers a variety of subjects to the students who want to challenge themselves. They can take: Simple Machines, Mechanical Engineering, Robotics (competition and non-competition), Wirecast, Slide Making for Wirecast, Movie making, Peer Mentoring, Newspaper, Mind Puzzles and, new this year, 3D design. Students will miss one of their regular classes to be with me, and they need to make up that work. This program has evolved over these 15 years. At South Meadow 3D printing is part of the EHP program. 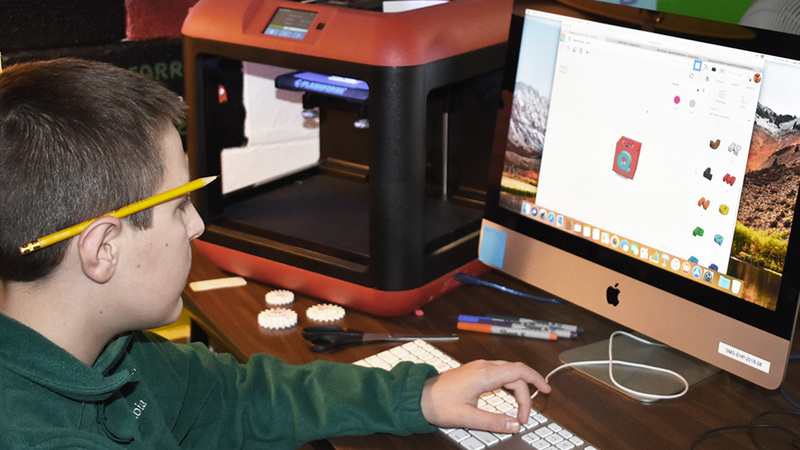 It started three years ago with a community member, David DeWitt, printing the students' Tinkercad designs for me. As I learned the program I thought about how to integrate it into the school. Students have shown great interest in creating items. The first year we made key chains, boxes and ornaments for a Christmas Tree for a local festival. Last year my 8th grade peer mentor class learned how to create a key chain and a box, and we took our knowledge to a local elementary school and taught all the students there how to create a key chain or a box. I learned a lot on this adventure - how much time it takes to print items and how to organize all the printing. The students and I were asked to give a talk in Maine to the educators in that state about what we were doing at our school. I then took a different set of students to a STEM field day at a different elementary school, and this time we only made key chains. A colleague of mine worked with me so her students could design different-sized boxes to conceptualize volume. This is year three, and I'm still learning, as are the students. So now I have four classes of 3D design, all using PrintLab Classroom. 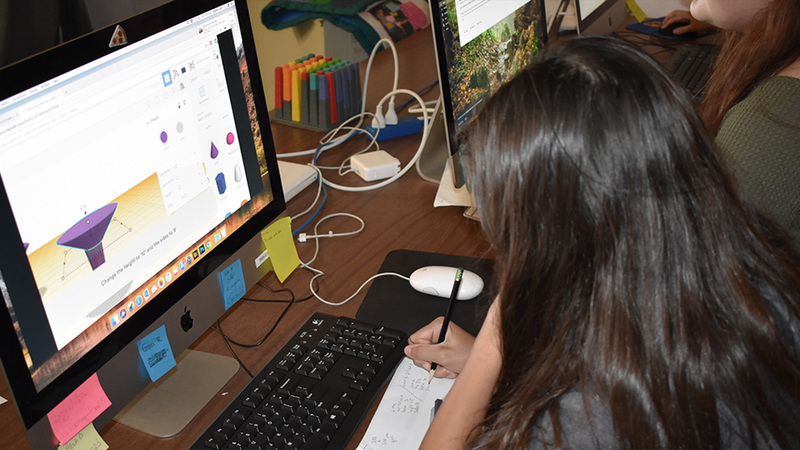 Students learn how to focus, to pay attention to details and to realize they need to figure out what went wrong when the design doesn't come out how they expected. The ability to design and create in 3D will be a part of their future, as will be learning from their mistakes(!). 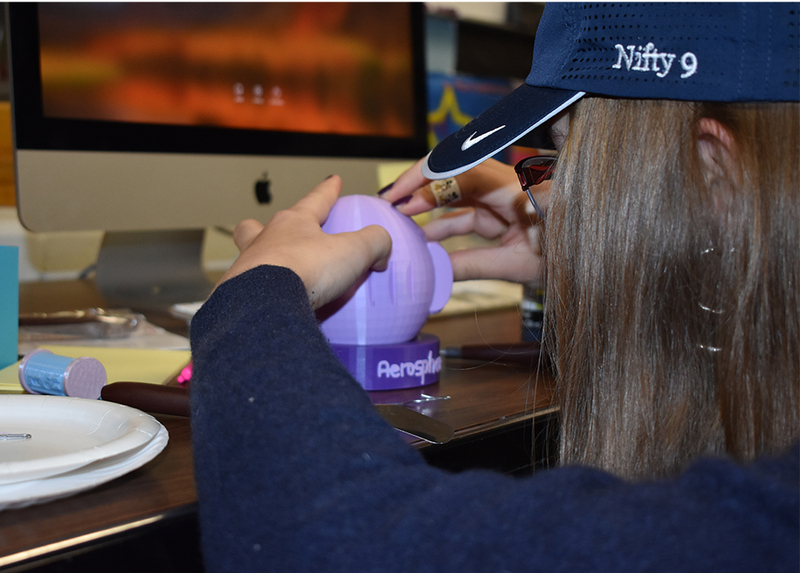 The robotic students also print items for their competition. The students enjoy having the directions provided by PrintLab. The first project that I picked for us to start with was the Braille cubes. I showed them the video, and they had to take notes on the notes I printed out from PrintLab. All of the students had made boxes the previous year, so I thought it would be a good starting part. This was hard for them since they rushed to get it done and didn't pay attention to details. Some students had to redo the blocks four times. The next item the students picked was the spinning top. This time I printed the directions for them and just let them go. I'm working to have them slow down and go line by line in the directions. This is a good skill that they need to understand, so I'm loving the directions for this reason. 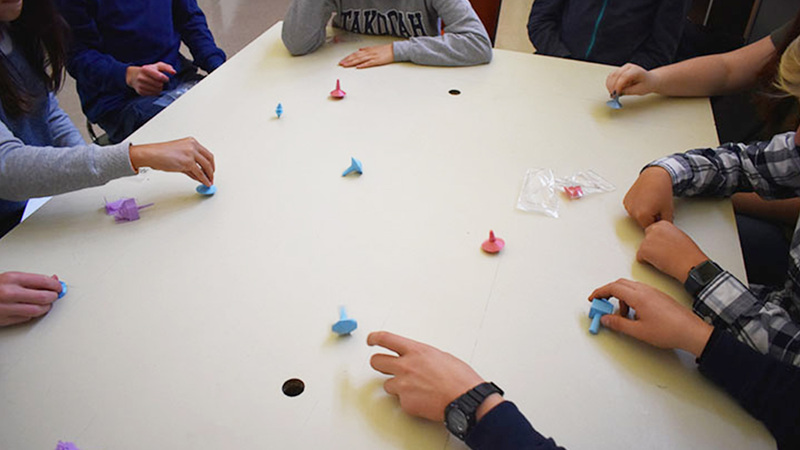 Then I asked them to create a spinning top of their own design. I learned that I had to put some tops on the side for them to print better. I also have some students that come into the room during some of their free time to print for me. For this project the students had to take notes from the packet before they can start the design. 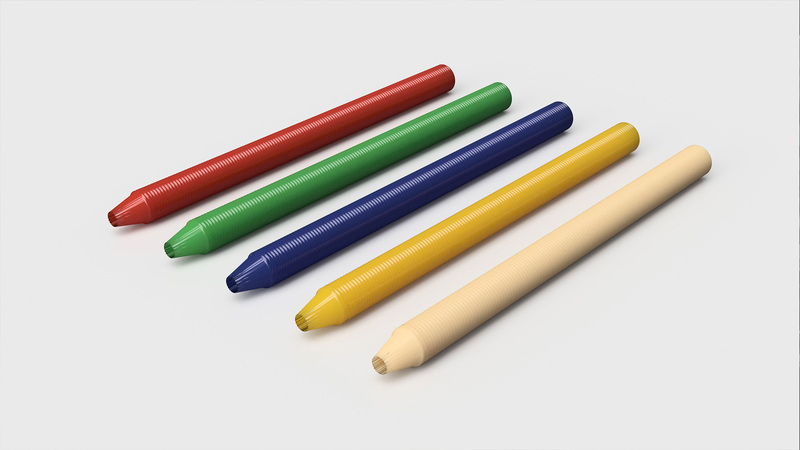 This method seems to work better for the students, and those who had a hard time designing the pen can watch the video, which helped tremendously. What are your plans with integrating PrintLab Classroom into your workflow this year? Currently I have two classes that started in September and two other classes that started at the beginning of our second quarter. The older classes are currently finishing up the pens and will be making Christmas ornaments for a tree for a local community tree festival, and the new class will start with a key chain and then continue on to the Braille cubes. Students have the opportunity to be with me for four years, so it will be exciting to see how far they can go with the class. Key challenges for me include time and trying to fit the students into my schedule. I only get to see the students for one 45 minute block every six school days. Students need to come in extra or do the work at home. I have a deadline so I can print all at the same time, but that doesn't happen all the time. There are also times when I simply need more hours in the day to print. I do have two printers. 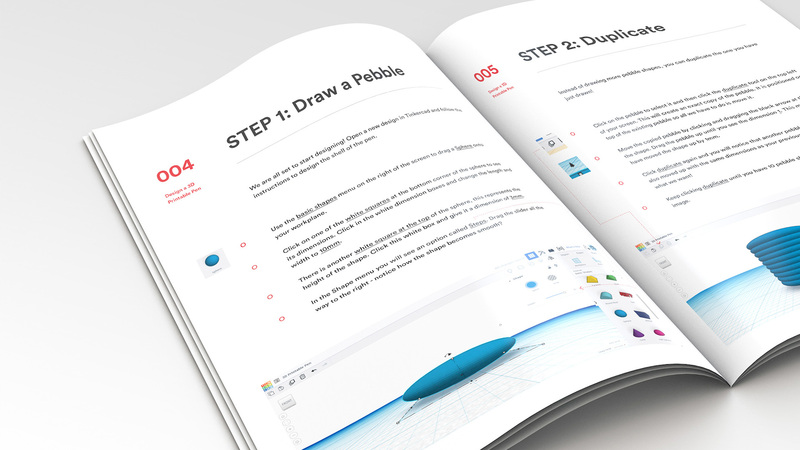 What advice would you give to other teachers looking to introduce 3D printing in the classroom? Go slow with a small group first and learn how long it takes to print for the students. Also, print their mistakes so they can see what they need to fix. I also tell the students that, just like with anything else, you need to practice and practice to get better. A big thank you to Michelle for her time. It has been fantastic to follow her journey and support students with PrintLab Classroom curriculum. 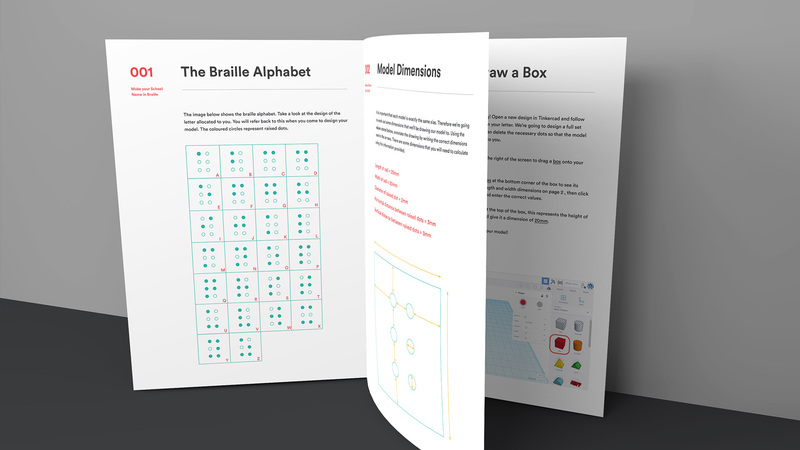 If you'd like to learn more about the curriculum, click here to try a free lesson!